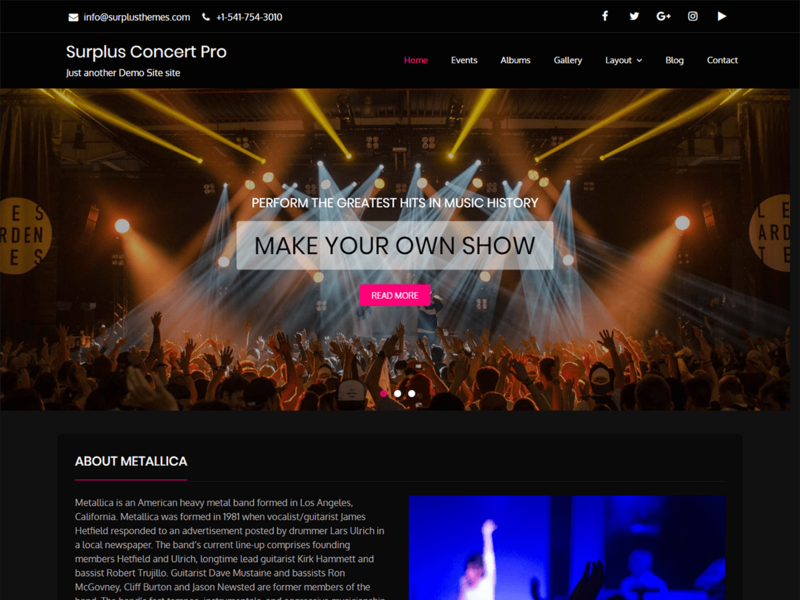 Surplus Concert Pro is a simple, trendy and fully responsive music wordpress theme. It is created specially for Music events, Concerts, Bands, Artists, Musicians or any other kind of music websites or Personal Blogs. Surplus Concert Pro is easy to use, user friendly and allows you to fully customize your website without having to work with code. Excellent features includes Social Links, Customizable Banner / Slider, Footer section, Breadcrumbs, Sidebar layout options, Excerpt options and many more. This theme is translation ready, tested rigorously and highly optimized for better performance. Surplus Themes is a collection of awesome WordPress themes. 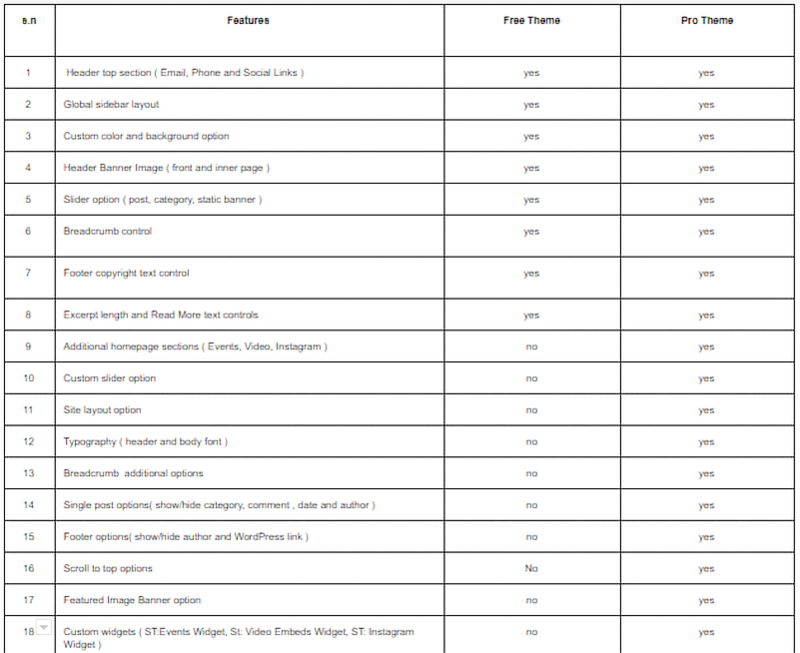 We are continuously seeking to provide quality themes with more additional features. Site for amazing wordpress themes.